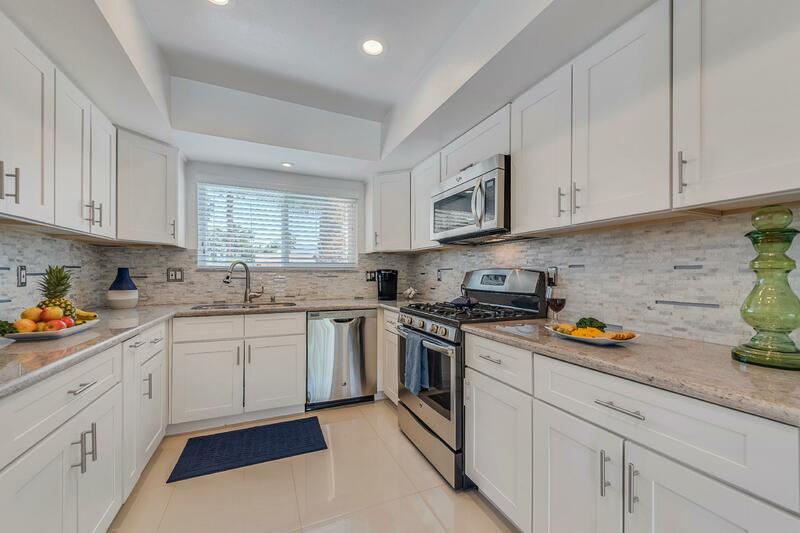 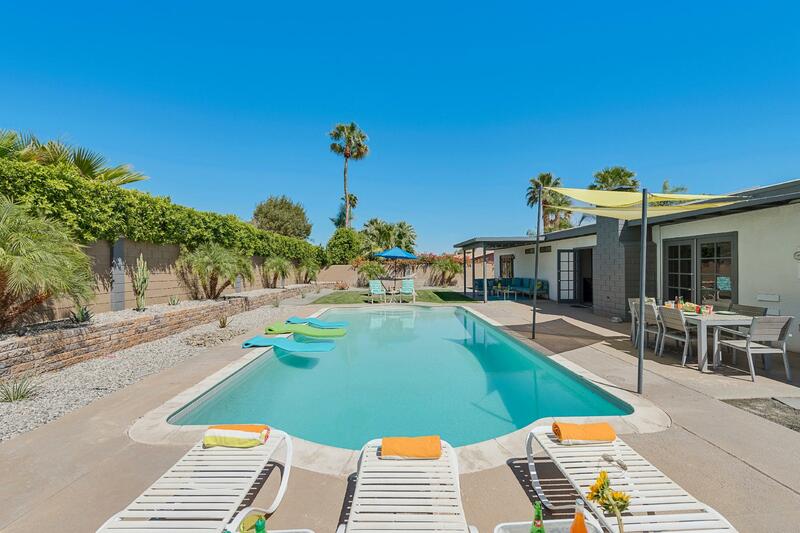 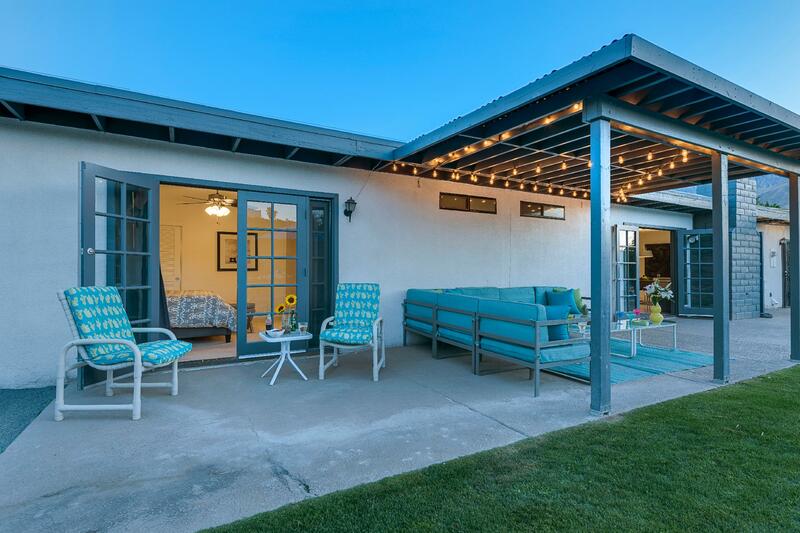 This Mid-Century home offers 3 bedrooms and 2 baths, a Den, and has been updated with all modern baths and well equipped kitchen. 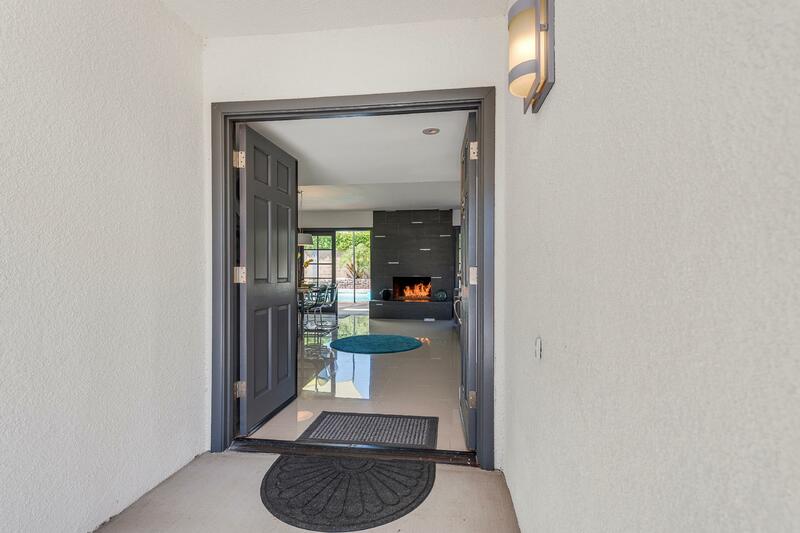 The open floor plan offers a spacious Dining Room/Living Room combination with a beautiful gas fireplace and 2 sets of French doors which open to the beautiful pool area with breathtaking views of the San Jacinto Mountains. 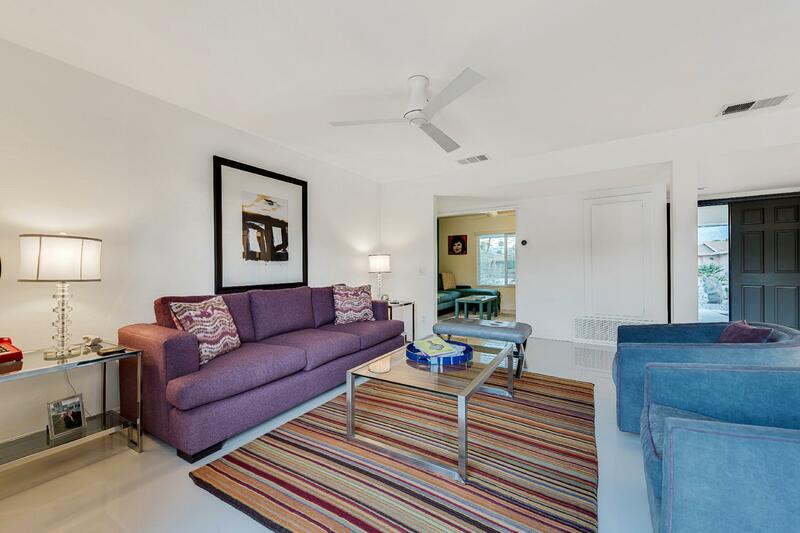 The den is adjacent to the open living area and offers a small sectional sofa with a 40" Smart TV equipped with Cable, and DVD Player. 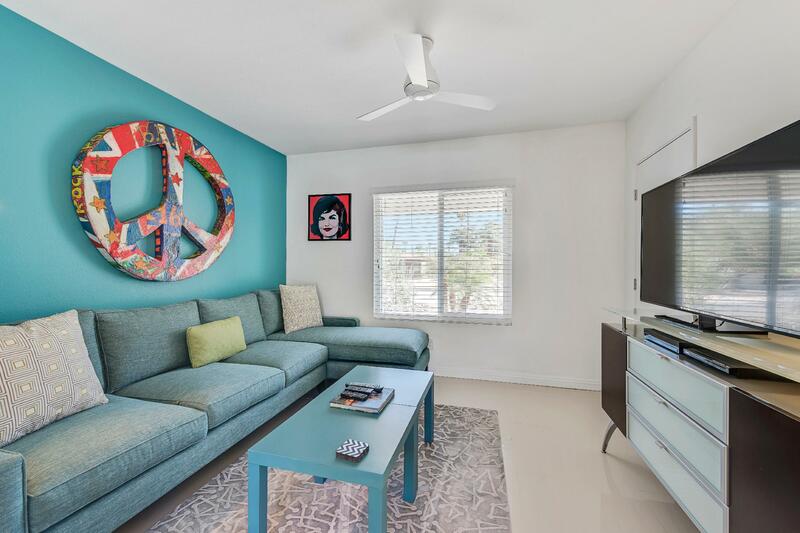 The home offers complimentary WiFi throughout. 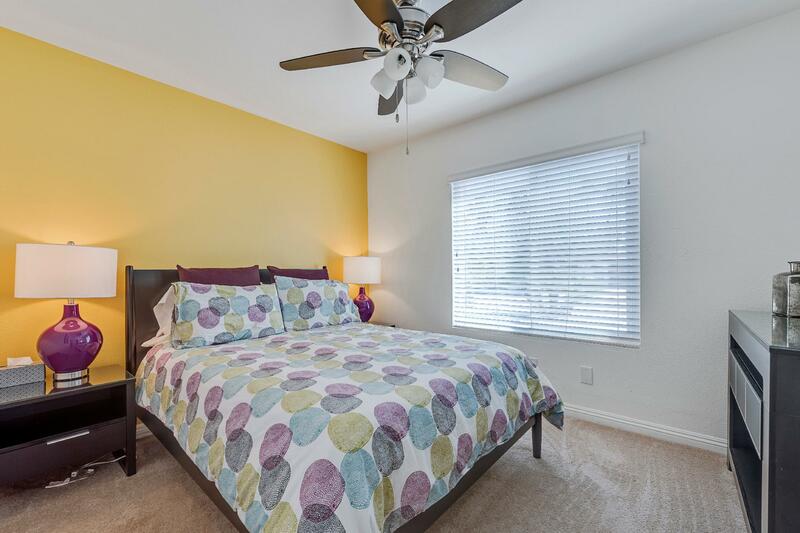 The three bedrooms and two bathrooms are located down the hall from the living area. 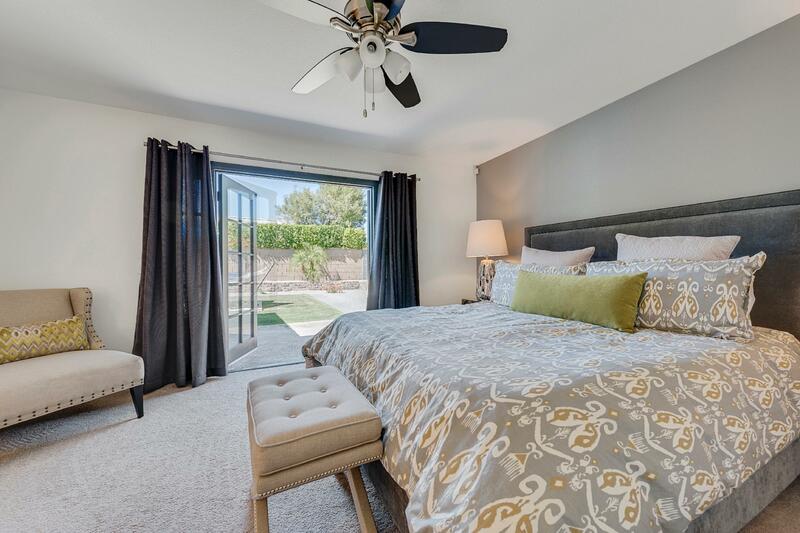 The master suite has a French door leading to the patio lounge area and pool. 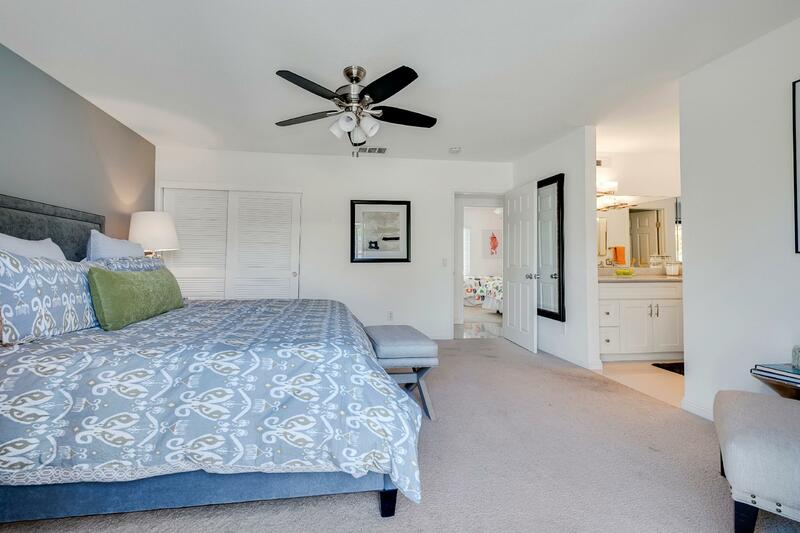 The two guest bedrooms and Den face the front of the home with great views of the mountains. 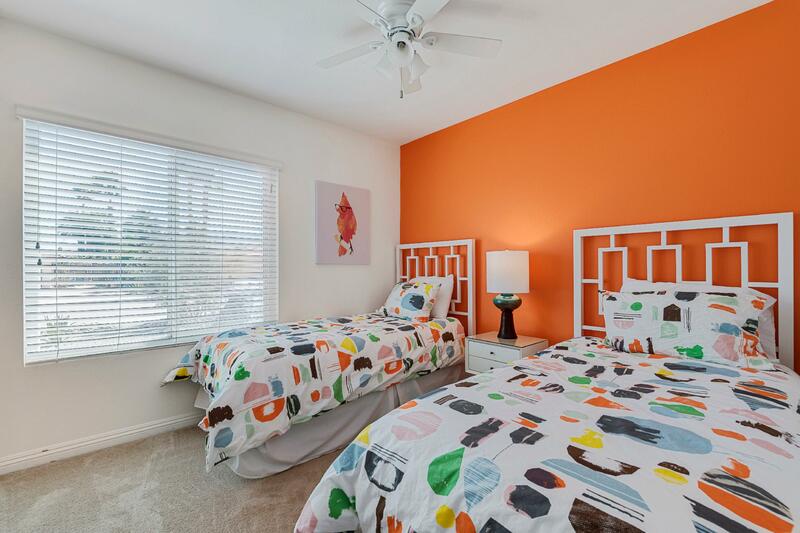 The 2 car garage has a washer and dryer available for guest's use. 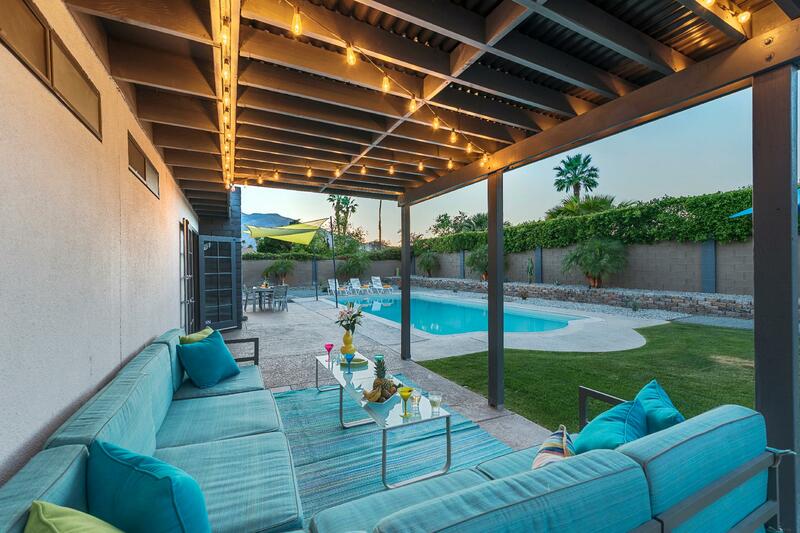 Relax in the outdoor patio lounge which offers a sectional for seating and enjoying your favorite cocktail with friends, or simply enjoying a book. 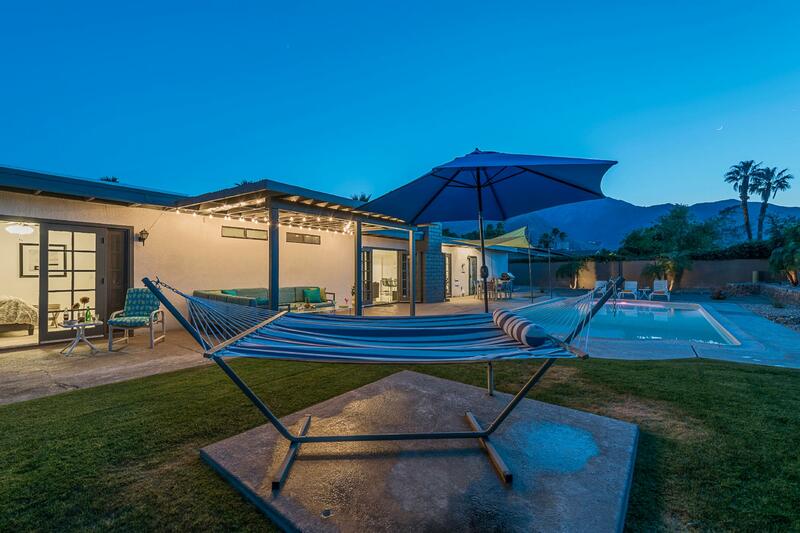 A hammock with it's own umbrella makes for the perfect location to take a nap and the pool loungers make for the best natural tans. 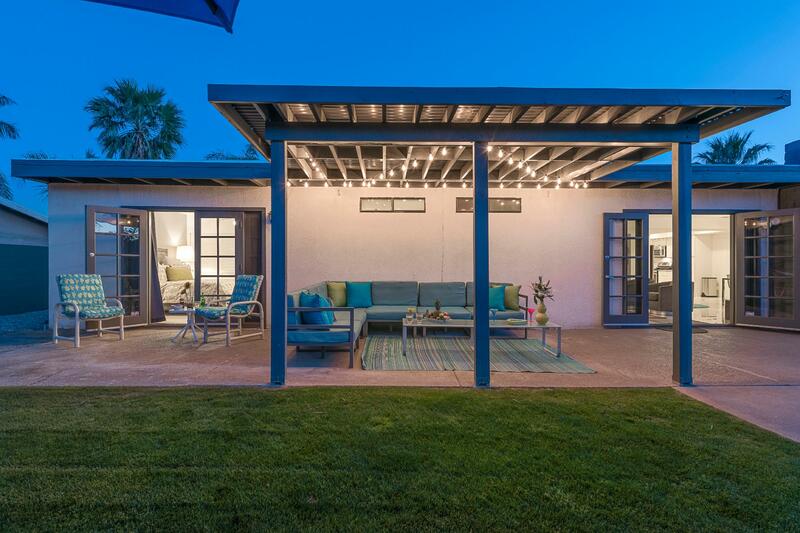 An outdoor dining area for six with sun canopies is perfect for entertaining while you grill up some of your favorite dishes on the natural gas BBQ. 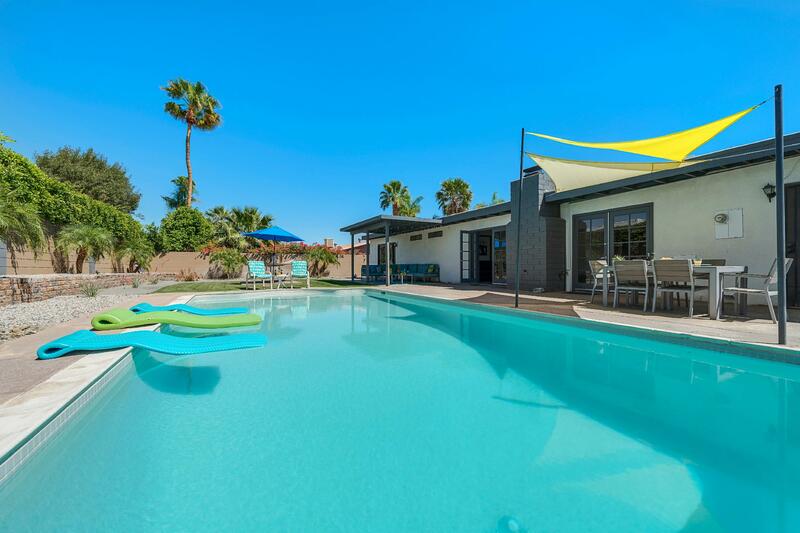 The oversized swimming pool is ideal for those hot summer days and during the winter. 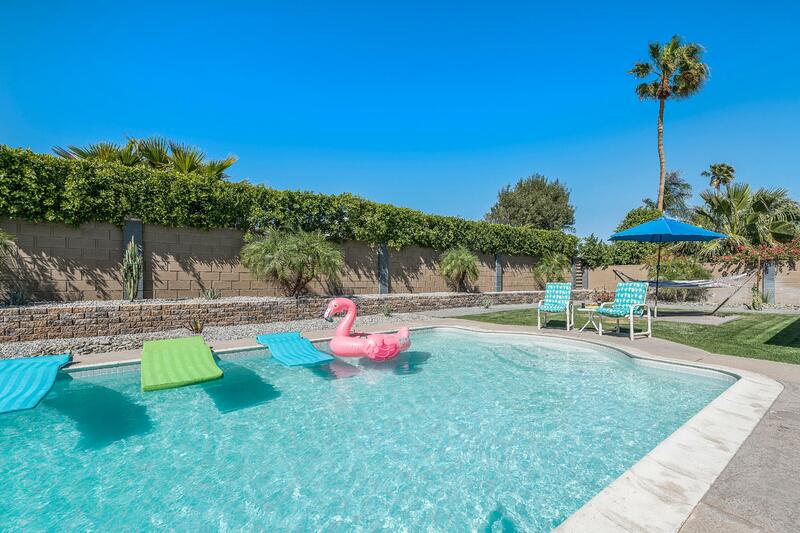 Pool heating is available for a small additional fee of $85 per day. 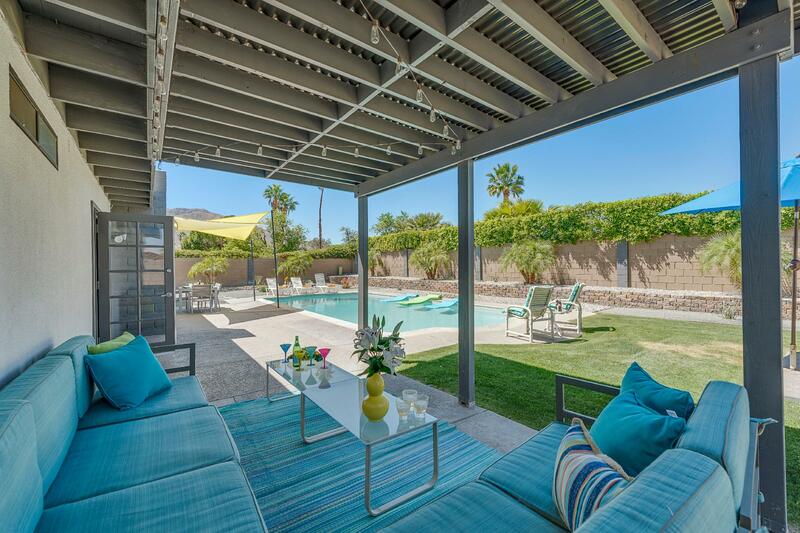 This is highly recommended for the dates between October and May. 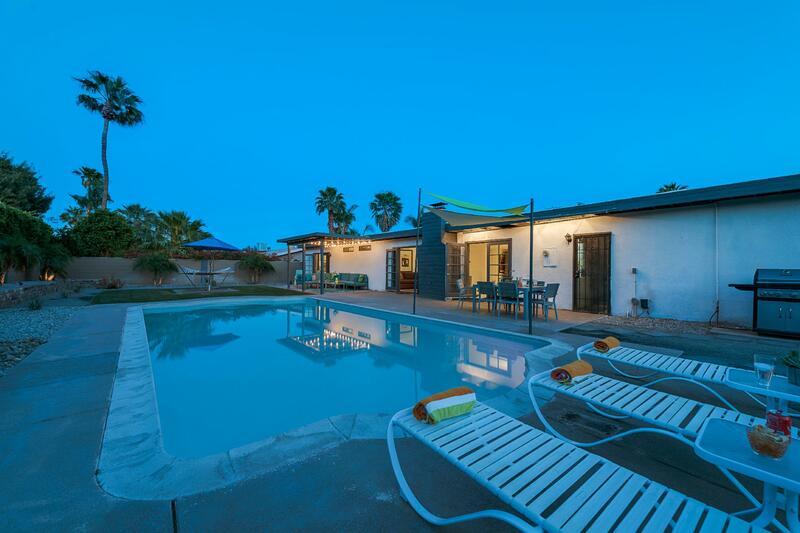 Small pets are welcome at this home at an additional fee of $150 per stay. 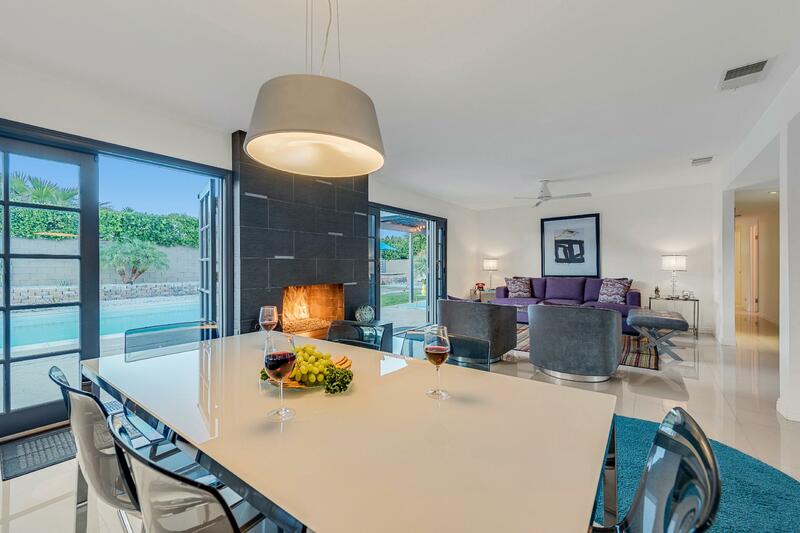 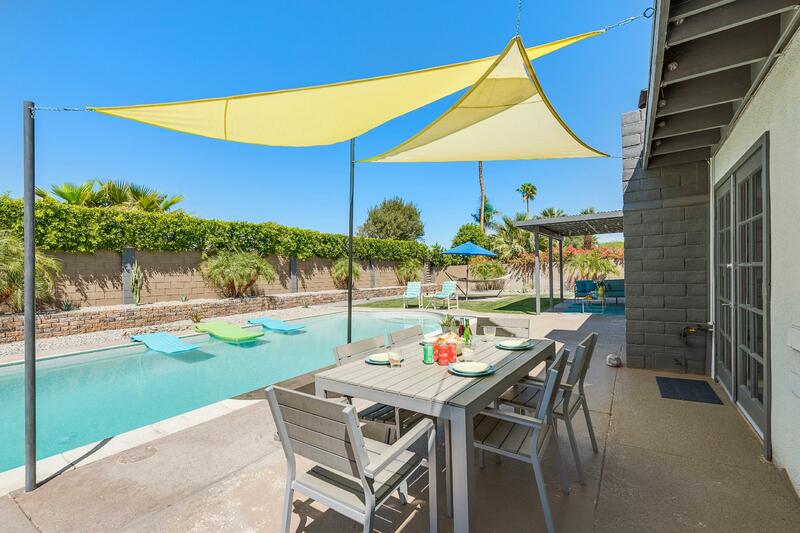 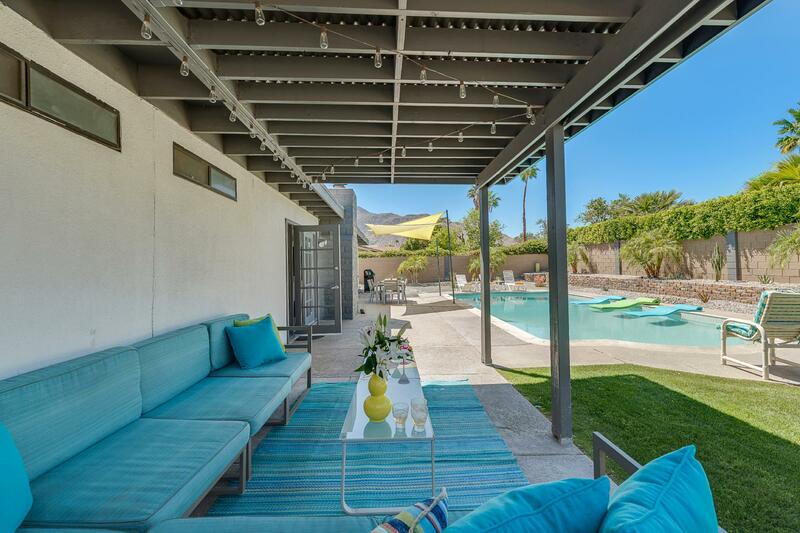 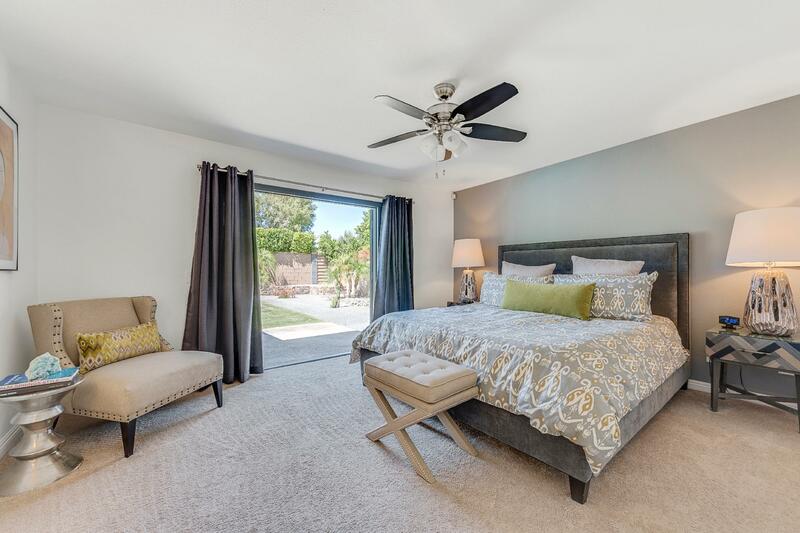 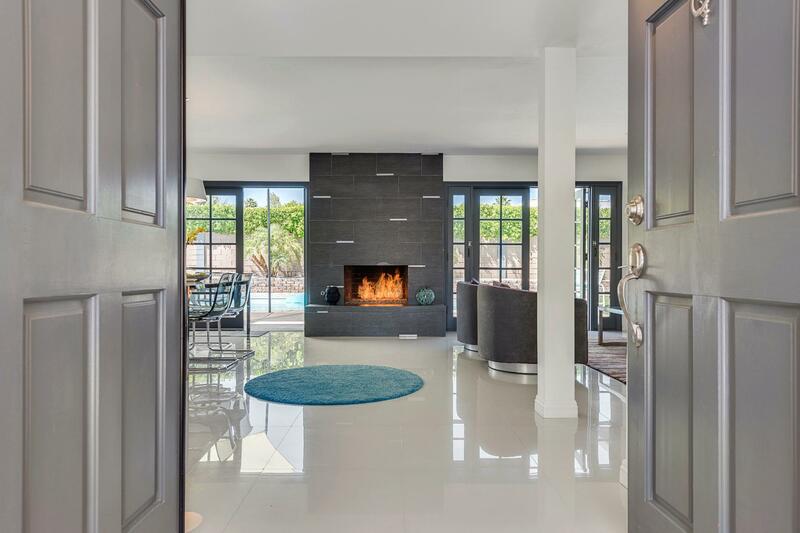 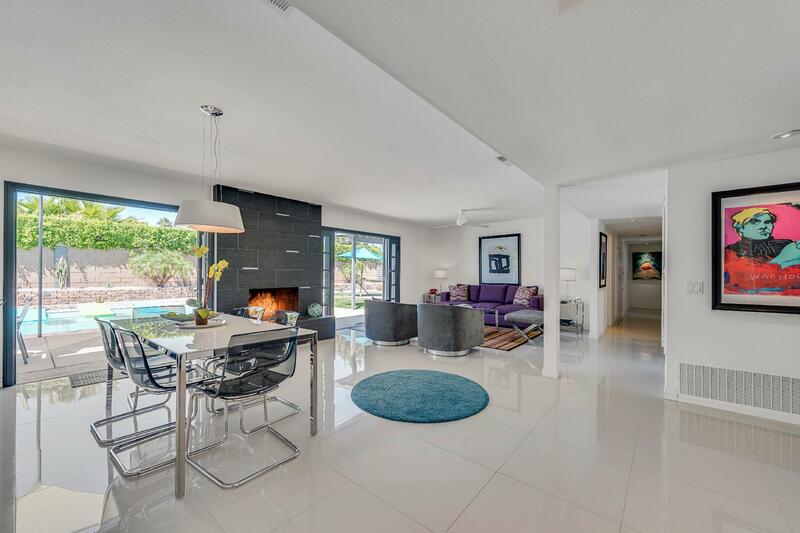 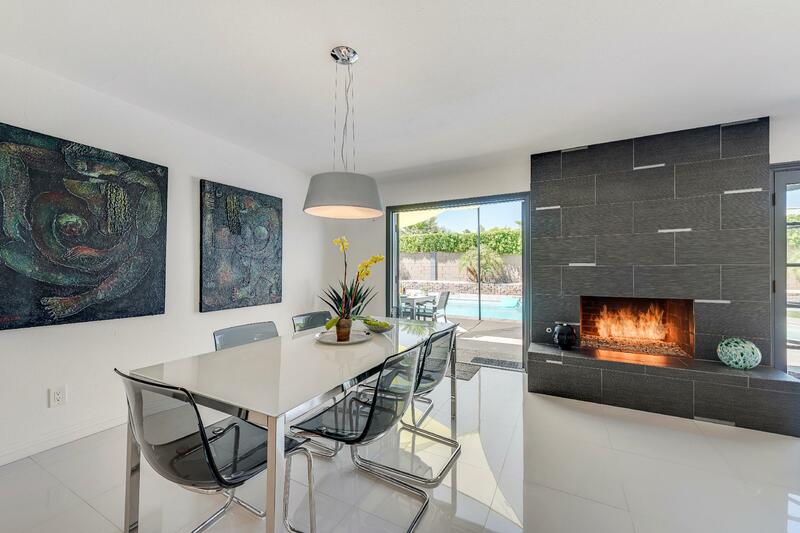 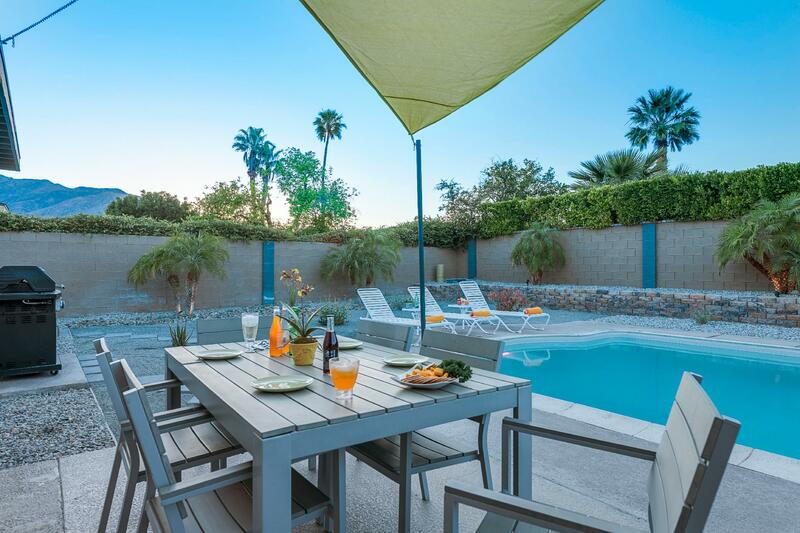 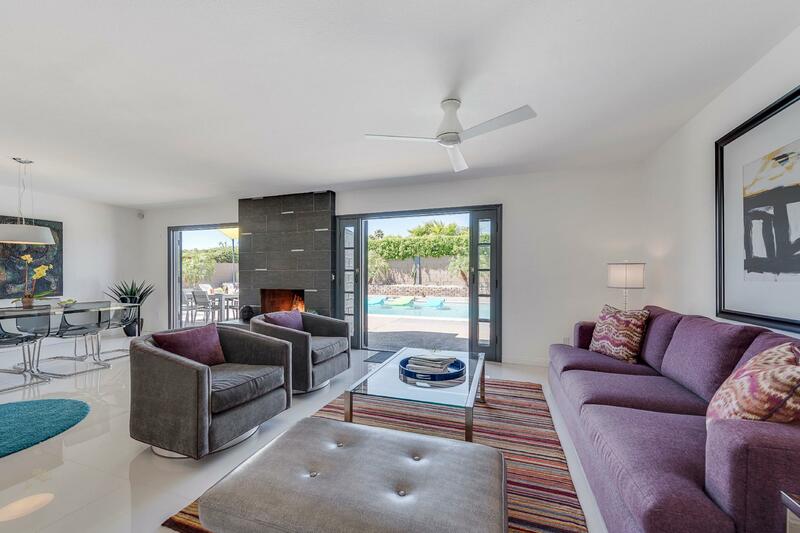 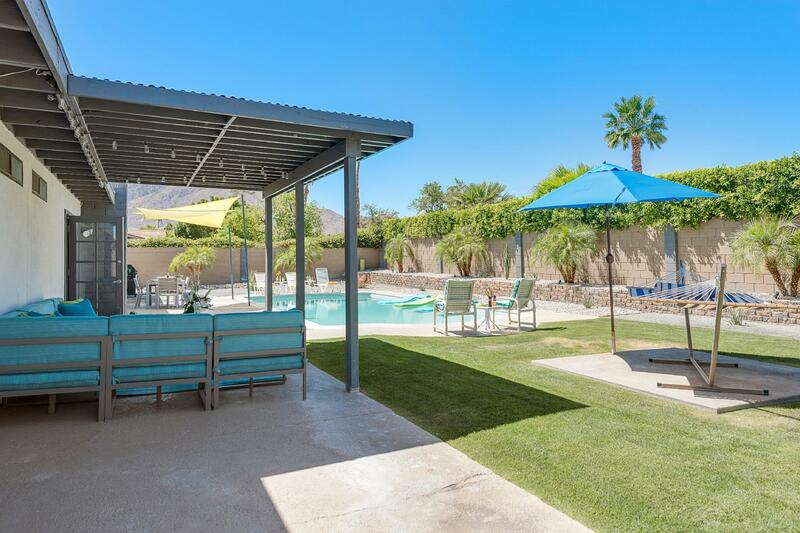 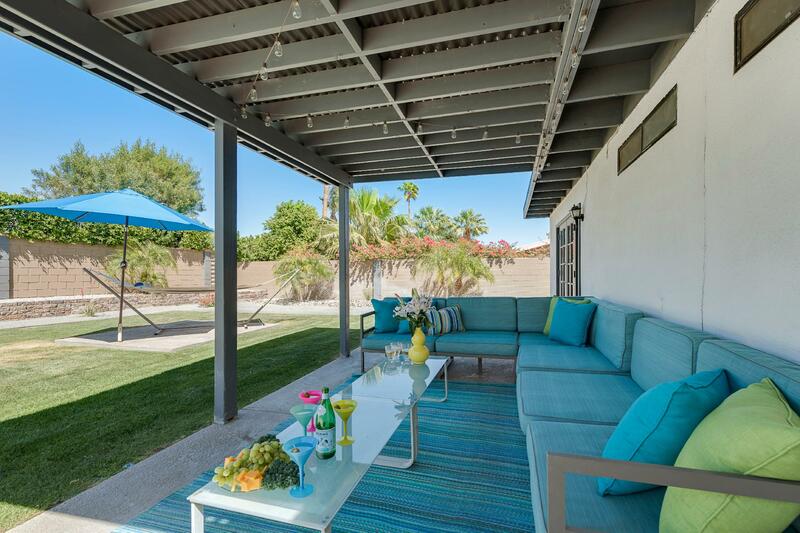 The home is located in the established and desired Racquet Club Estates in Palm Springs and is only minutes from Downtown shopping and entertainment. 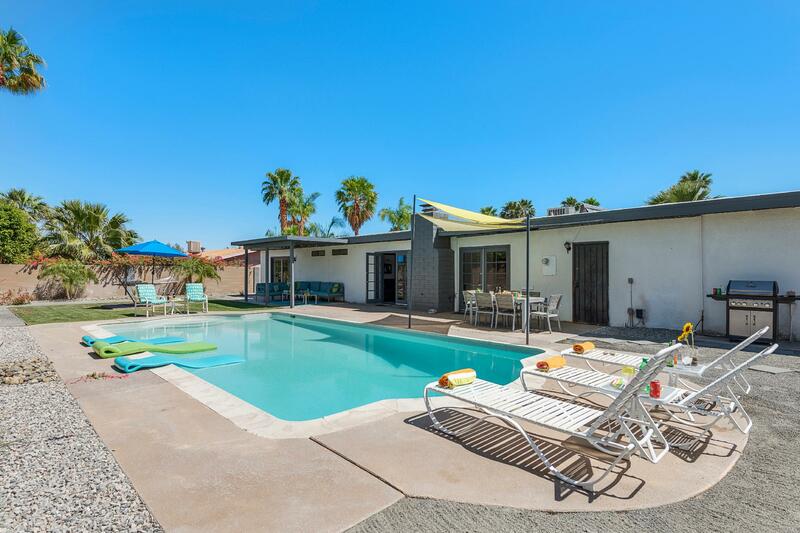 The home is fully appointed with all linens, towels, dishes, fully stocked kitchen, utilities, cable tv, and high speed internet. 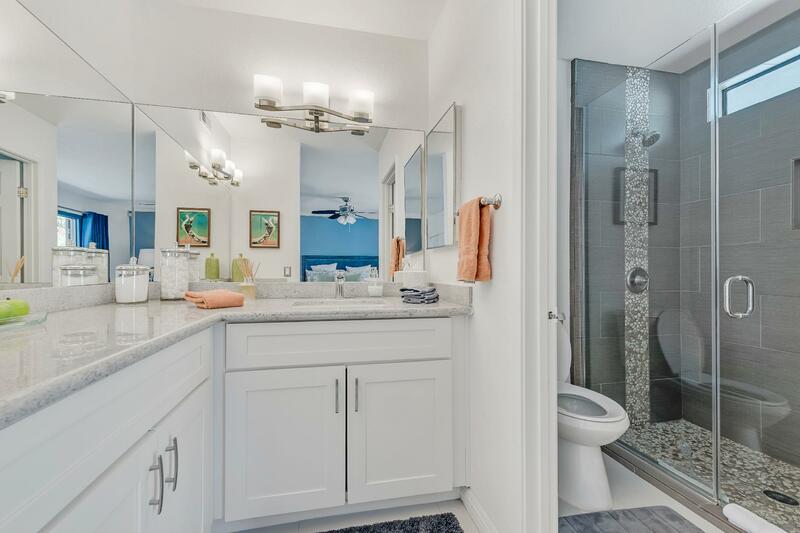 General Supplies such as toilet tissue, paper towels and laundry detergent are also supplied. 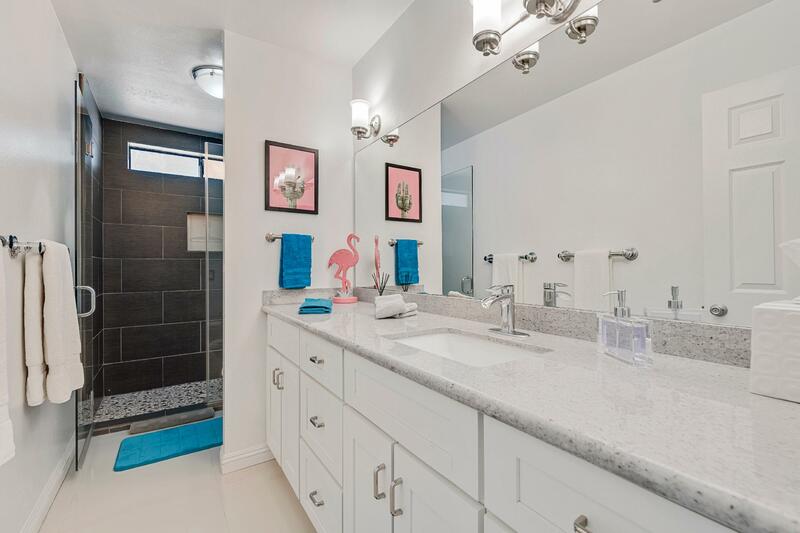 Each bathroom is appointed with hotel quality shampoo, body wash, conditioner, lotion and soaps.